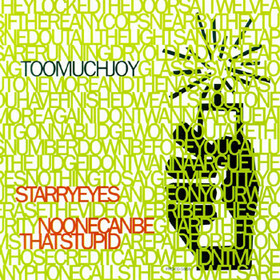 There was only one outtake from the Mutiny sessions, a song called “No One Can Be That Stupid.” It came out as the B-side of the album’s second single, a cover of the Records’ “Starry Eyes” (with verses re-written so it’s about TMJ-specific trials and tribulations). The single tanked, and though the band made a video for “In Perpetuity,” the label was basically done promoting the album as a result — TMJ’s tenure on Giant Records officially ended several months later. You can still buy “Starry Eyes” as part of Mutiny at most digital retailers, but so far as we know, this is the only place you can find “Stupid.” It’s yours free if you want it — just click here to get Stupid.